I was delaying a post about E-nnovation conference, which took place this week in Poznan. The greatest news for me is usually who won the startup competition. It means a good number of experts looked through the business plans, met the founders, listened to the presentations and decided who is the best. And what am I supposed to do with this piece of news which does not quite fit within the geographical focus of GoalEurope? So I deliberated for a day and decided that I shall write about it briefly, if only because I relate greatly to the whole subject. I have “Irish twins” myself who are 1.5 and 2.5 years old now, and I must say that the challenge to care for them for the first two years of their life does not equate to anything I went through, including studying an executive MBA at London Business School. In Egypt there are on average three children in the family, so the challenges of motherhood are even greater. SuperMama is set to improve household efficiency and productivity by addressing the three main issues: lack of money, lack of time and lack of information. 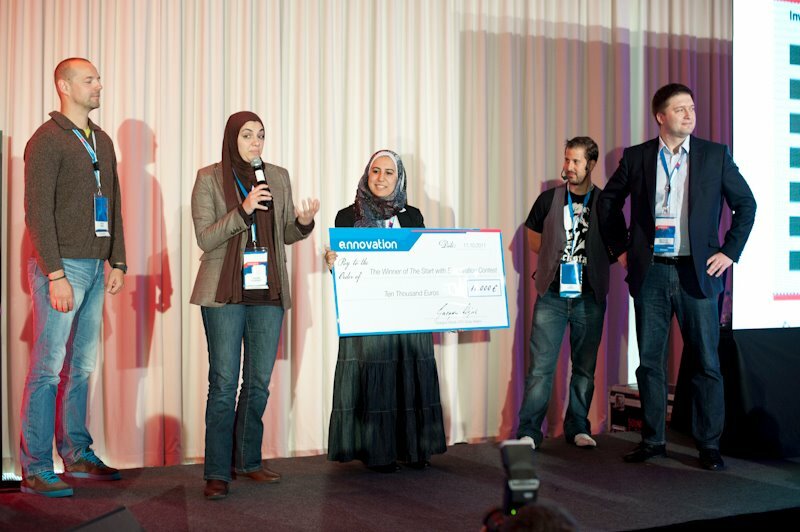 The founders of SuperMama Yasmine El-Mehairy and Zeinab Samir have been recently mentored in Denmark prior to participating at E-nnovation and before that they won a local contest in Cairo. According to The Next Web, which published an epic post about the company, SuperMama received over 5,400 visits, over 200 registered users within 4 days of launching. I looked at the website, which is in Arabic and it is full of useful tips, from health to education and the household management. Thankfully, Google does a good job translating it into English except for one thing: in some places, the name of the site is translated as … SoberMama. Poles do not seem to be upset about the fact, that an Egyptian company went away with 10 000 Euros and two laptop as a prize. As this post goes to “press”, they are already twittering away furiously at another startup competition, the StartupFest.